When the powerful and touching French drama The Intouchables grossed over $426 million at the worldwide box office, it became pretty obvious that The Weinstein Company would pursue an American version. But who could have guessed just how perfect the casting might be, as it's being reported that Bryan Cranston and Kevin Hart are in line to star. According to Variety, Bryan Cranston is currently in discussions with The Weinstein Company about joining Kevin Hart in the remake, which is being overseen by Simon Curtis. Released to critical acclaim by The Weinstein Company back in 2011, The Intouchables revolves around the friendship between Francois Cluzet’s Philippe, an aristocrat that became a paraplegic following a paragliding accident, and Omar Sy’s Driss, his care giver who hails from the projects. As you probably guessed, but I’ll now confirm, Bryan Cranston will take the role of Philipe and Kevin Hart will play Driss. And I for one can’t think of a better Hollywood pairing that’s currently available. Bryan Cranston proved with his Oscar-nominated turn in Trumbo that he has the presence and nuance to excel on the big screen, while Kevin Hart’s rapscallion-like behavior in The Wedding Ringer, Ride Along, and Get Hard continues to appeal. The Weinstein Company have been looking into remaking The Intouchables for several years. 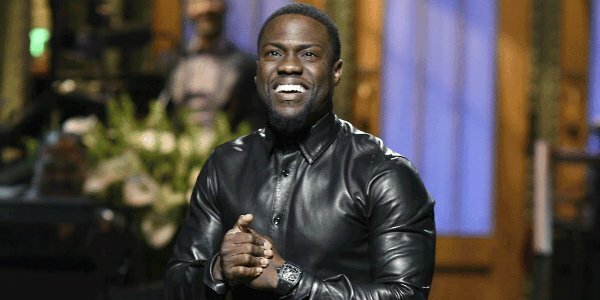 Chris Rock, Jamie Foxx, Idris Elba, and Chris Tucker were each approached about the role of Driss before Kevin Hart was officially cast back in 2014. Meanwhile Colin Firth was originally attached as Philipe, but now that Bryan Cranston has been brought on board, we can expect production to move forwardly quickly. Rather excitingly, it's being reported that Paul Feig has adapted The Intouchables’ script, too. While it was hoped that the Bridesmaids and Ghostbusters director would both write and direct the film, he left the project in 2013. Simon Curtis, whose previous directing work includes My Week With Marilyn and Woman In Gold, has shown a knack for creating captivating yet emotional pieces, and the raw material is there for him to do the same with The Intouchables again. We can expect production to begin on The Intouchables at some point later in 2016, while The Weinstein Company will likely be aiming for a late 2017 release date in hopes of an outside Oscar push.